This entry was posted in Color, Landscape and tagged abstract, blue, blue sky, botanical, cloud, clouds, color, colors, contrast, evening, graphic, HDR, image, naked trees, picture, ray, red, reddish, reddish clouds, sea, silence, silhouette, sky, sunset, texture, tree, trees, winter, winterly. Bookmark the permalink. Love the soft color of the sky. Beautiful. You’ve created a beautiful image. I like the addition of the silhouetted trees to the fine sky. Nice one. Beautiful colors! 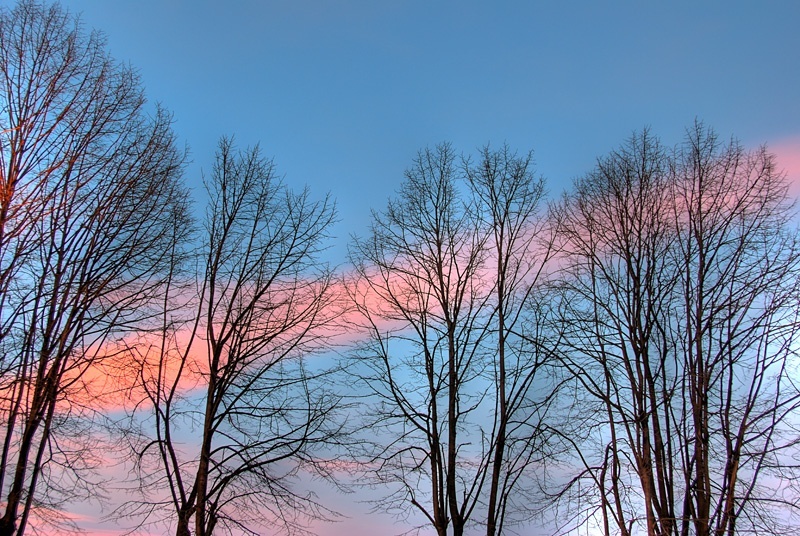 I really like naked trees in front of a colorful sky.